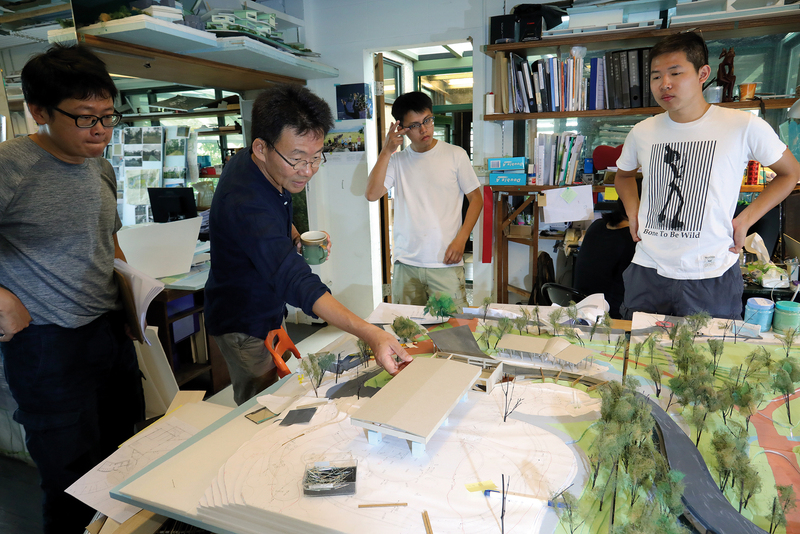 The founder of Field­office Architects and the winner in 2018 of both a Presidential Innovation Award and a National Award of Art, ­Huang Sheng­-yuan has been receiving domestic and international prizes continually for the past 20-plus years. But the halo of excellence that stems from these accolades has never caused him to forget his original intentions. However, it has allowed him to attract new blood in the form of a group of likeminded people who do what needs to be done without complaint or regret. 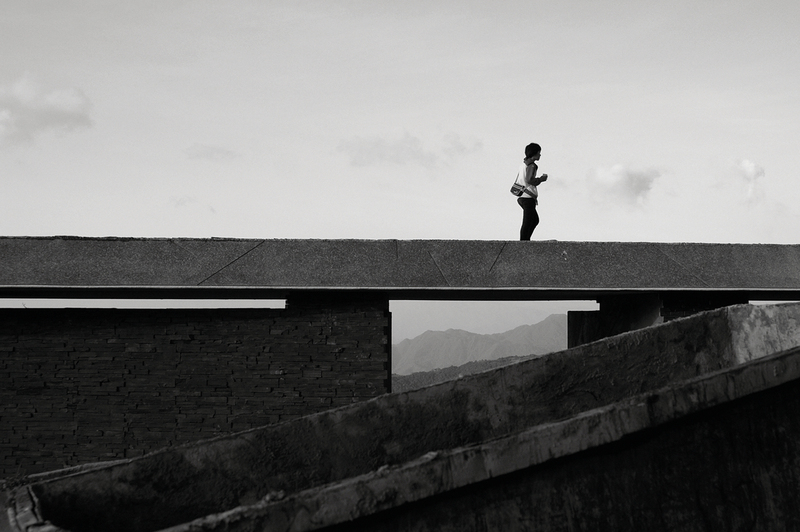 Behind his round spectacle lenses, ­Huang Sheng­-yuan’s ardent gaze reveals the heart of a child. His parents were both teachers. “They always treated us with respect, just like friends, and this is how I treat my daughter.” Just as his parents did for him, to the most beloved person in his life he shows magnan­imity and tolerance, giving her strength, but never fettering her. 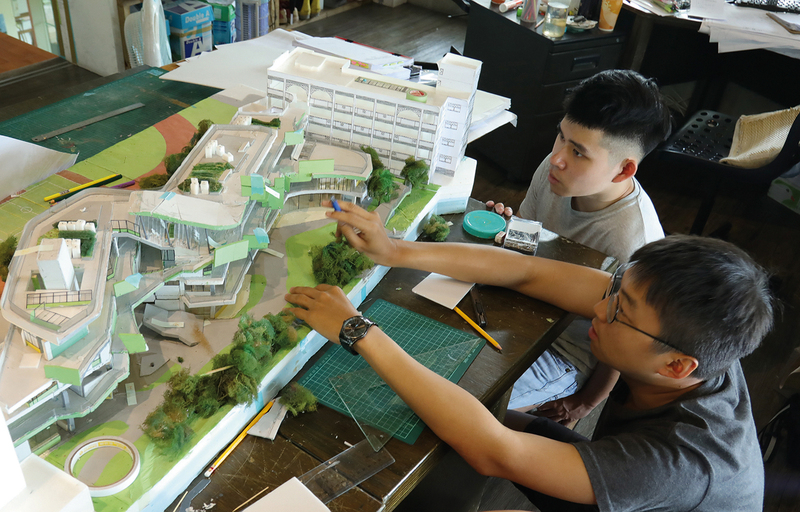 “I’m very grateful for the freedom my parents gave me.” ­Huang grew up with high self-esteem, and, after gaining top grades from Tai­pei Municipal Jian­guo High School, was pleased to gain entrance to the Department of Architecture at Tung­hai University. “Starting in primary school, my father got me to draw him the articulatory diagrams used in phonetics.” His father, who taught at National Taiwan Normal University, never overlooked the natural gifts of the son who made him so proud. 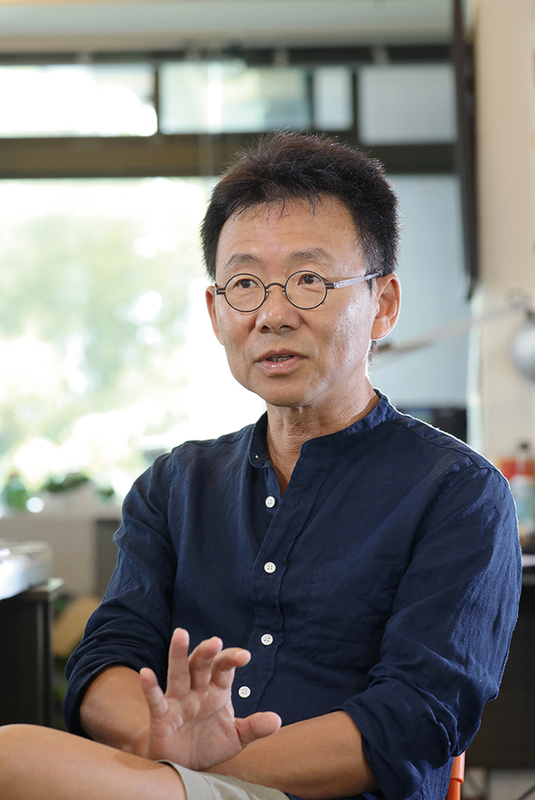 In that era before video games, “building blocks were my fortress.” In the process of building again and again, ­Huang Sheng­-yuan was always coming up with innovative ideas, enriching that very free period of his life. “At a very young age I realized that I was clumsy, and it would be difficult for me to complete anything on my own.” But there’s nothing to fear in acknowledging one’s own weaknesses and accepting one’s inadequacies. “Nobody is all-powerful, and everyone has something they are good at.” ­Huang deeply understands the importance of teamwork, and has “treasured every single partner.” Since opening his own architectural practice—the forerunner of Field­office—in 1994, ­Huang, whose connection to the land of Yi­lan is organically close, began to attract a group of likeminded partners. The team grew like coral, expanding from one person to over 30. And once summer vacation starts, a succession of student employees and interns make the office as raucous as a traditional market. In fact Field­office seems more like a school or a family home than a place where office work gets done. “Although there is a scheduled time for getting off work, usually every­body stays until nine or ten at night,” says staffer Wang Han­wei with a laugh. 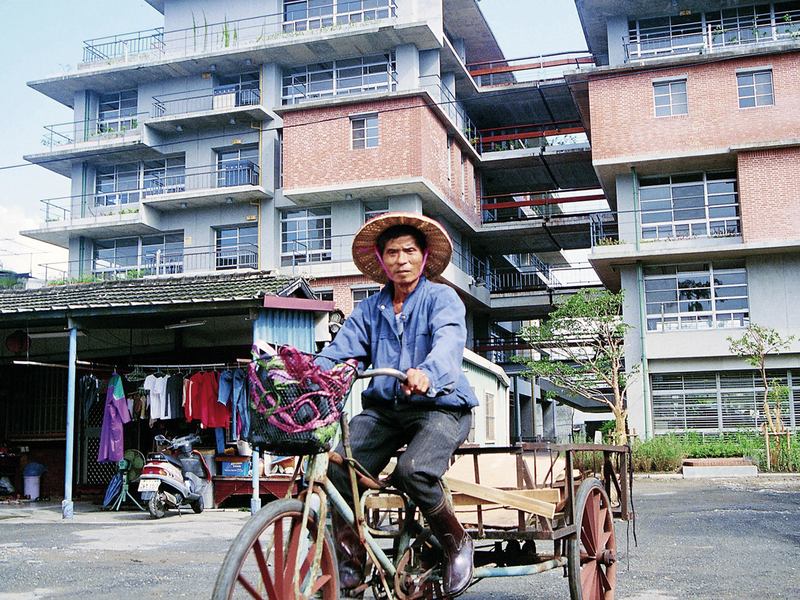 “Every­one lives nearby, and even if they don’t have work to do they will hang around just to chat.” Although her family home is in Yi­lan, ­Huang Hai­rou, another staff member, still chooses to rent a place near the office, to stay in step with everybody else. 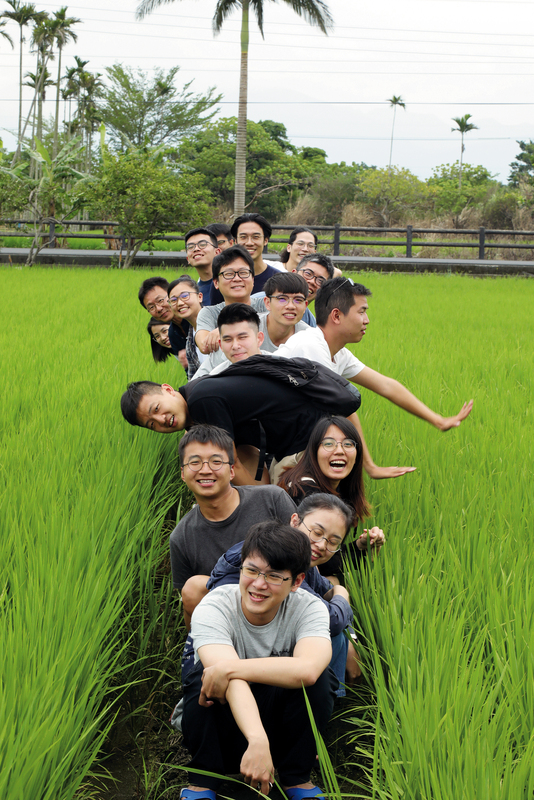 Faced with work partners who come from all over Taiwan, ­Huang is always there for them as they mature. “I try to visit each colleague’s hometown, to understand how they grew up.” That kind of sincerity binds people together like family. Wang Han­wei adds, “Turnover here is not high. When people do leave, most often it is to go back to school, and some have come back after studying overseas.” So long as someone has worked at Field­office, no matter how far they go, even to the other side of the world, they can never forget the family feeling there. ­Huang, who says he used to be a “Tai­pei City slicker,” has spent more than 20 years getting connected with rural Yi­lan. He expresses his unreserved love for this piece of land by working to heal its wounds. Following the natural topography of the undulating sand dunes, the visitor center is not ostentatiously eye-catching, but stretches graciously, returning a sense of tranquility to visitors and to nature. The tall yellow tower is like a periscope deftly drawing the ocean to the eye. 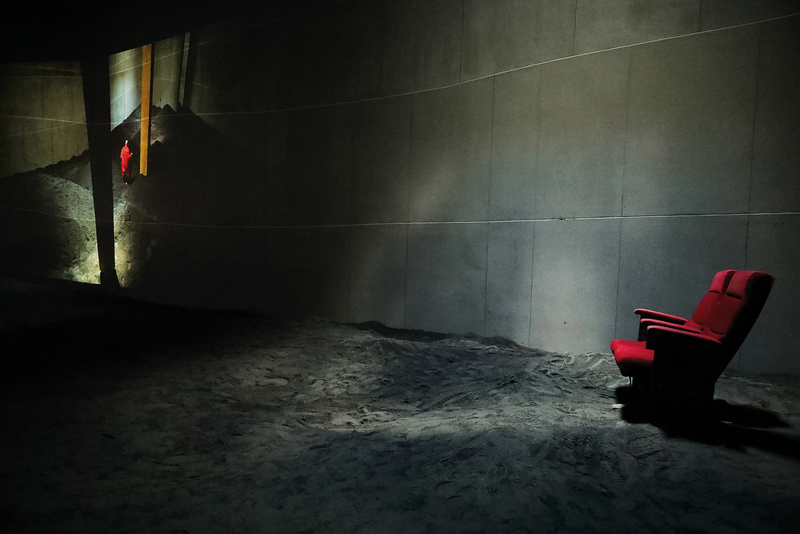 The serenity that the center’s unobtrusive design elicits was breathtaking to film director Tsai Ming-liang. The field of dreams that he had been searching for was standing real before his eyes. 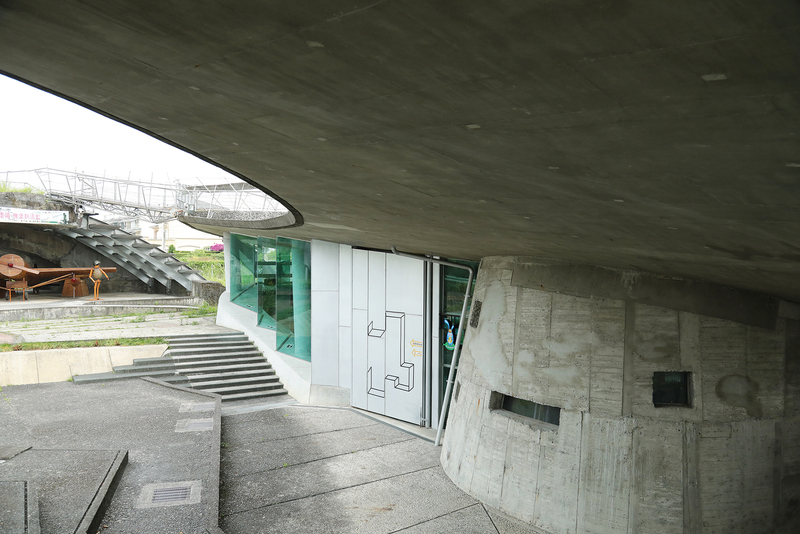 Thanks to the efforts of ­­Huang ­­Sheng-yuan, a hardened hangar that had survived from the former Japanese airbase in Yuan­shan was saved from demolition and is now preserved as the Kami­kaze Aircraft Shelter Museum. No matter how difficult the past, there is no need for us to evade historical reality; we should simply face it calmly. Fieldoffice inscribes the hardships faced by our ancestors into the grain of its structures. Seemingly random associations are in fact the expression of profound insights. “In fact, I am very dissatisfied with my own personality.” Other people often see ­Huang as rebellious by nature. His uncompromising insistence on his own notions of truth, goodness and beauty may all too easily infringe against the norms of social ethics and etiquette. “There are a lot of things hidden behind ­politeness. Someone may be wanting to speak in defense of freedom, or to scream on behalf of justice.” ­Huang doesn’t want hypocritical responses; he seeks only candid and honest treatment. While he was growing up, fate arranged for him to be exposed to ruthless criticism, and through his naivety he caused offence to many people. However, despite continual setbacks, thanks to his natural openness he has always voiced his inner thoughts with complete honesty. Flipping through the construction history of Field­­office, “concern for others” is an important motivator in the practice’s more than 50 works. From the Julin Nursing Home in Jiaoxi, completed in 1995, and the Greater Yi­lan County Nursing Institute, to the St. Camillus Center for Intellectual Disability and the St. Camillus Long-Term Care Center, Field­office has invested a vast amount of effort. “To every person will come the day when they are no longer sturdy enough, so we should enable elderly people to live with dignity in an accessible environment.” Facing the challenge of all kinds of care needs, an important topic for the future is how to construct appropriate spaces. 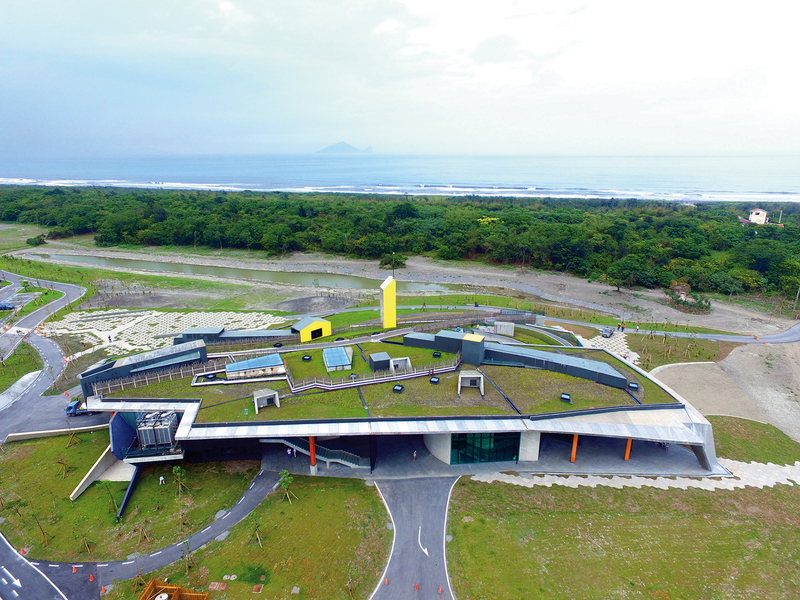 The fruits of Field­office’s labors are spread across ­every township of Yilan County. It is therefore hard to imagine that such a prominent architectural practice is often short of cash. Because these are publicly funded projects, there is always some limit on the fees that can be charged. “­Huang Sheng­-yuan always insists on first doing research based on the inherent nature of the project, and he continually makes changes. 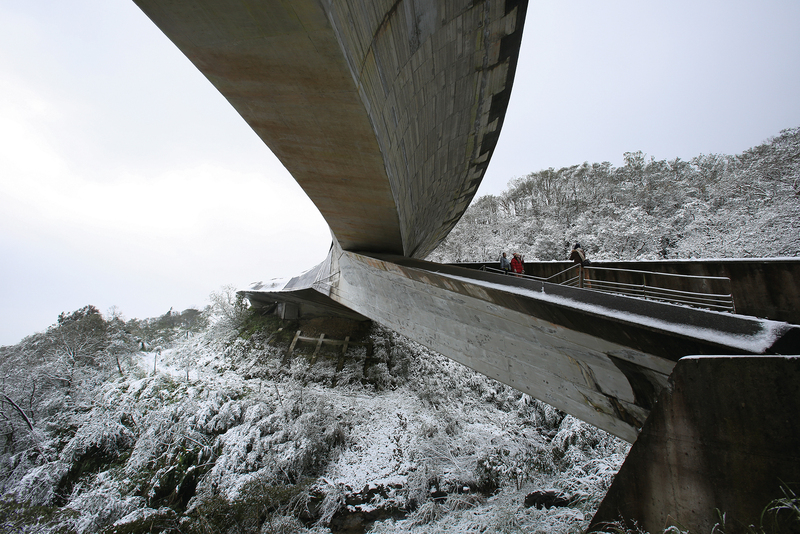 Sometimes he will go to the project site and have a walk around, and then propose ideas for changes on the spot.” ­Huang’s young partners are half serious, half complaining as they say this. Although he understands that each modification means additional costs, ­­Huang still goes ahead and tries despite obvious impediments. “At each stage of life there are things that are worth devoting oneself to single-mindedly.” With respect to architecture, which is what he loves the most, Huang hopes that each individual will give their all. Fieldoffice, most of whose projects are publicly funded, are well aware that politics is a means for giving citizens greater well-being. No matter who is in charge, no-one should forget this original purpose, and each must make the best choices on behalf of all. With outstanding academic and professional experience, and with works that have won international acclaim, Field­­office perhaps can follow an even broader road ahead. But Huang Sheng-yuan still finds himself firmly bound by—and takes pleasure in—a sense of belonging to his homeland, and a sense of mission to pass along beauty and to enable the next generation to embrace hope and dreams, whatever difficulties he encounters along the way. Looking at his young partners, Huang has a warm glow in his eyes. “I try to be open minded, to approach people and things without preconceptions.” ­Huang believes that if only one carries out one’s task earnestly, then one can have a clear conscience. What Heaven can see, other people will also see.